VIP Industries has a range of leading brands across luggage categories. With every passing day, the rules of business are changing. With this dynamics comes a new kind of business leader. The Young visionary who is passionate about what he does. For him, it is not about making money but about making a dent in the fabric of the universe. The members of this breed are relentless in the pursuit of the next big idea and the next revolution. They don’t just move with the flow but surf ahead of it. 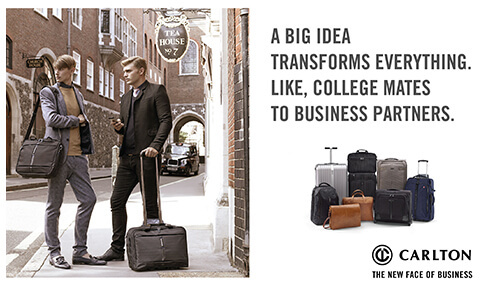 Carlton celebrates this maverick spirit and is their partner in their journey to become ‘The New Face of Business. Carlton is a tribute to this young, passionate breed of business people. The campaign illustrates how the new generation has moved beyond the old business clichés and fixed set of rules. Instinct, passion, innovation; these are some of the qualities which are vital for this new upcoming race of entrepreneurs. 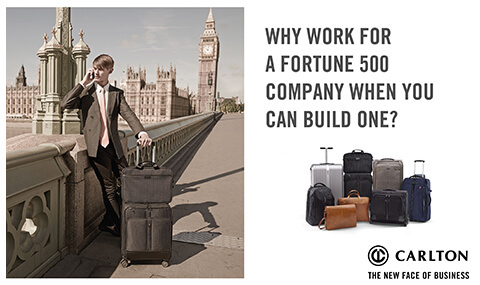 Carlton's new marketing positioning as ‘The New Face of Business’ positions the brand as the luggage of choice for the daring new business generation and celebrates their remarkable, out-of-the box qualities. Established in 1971, their, VIP Bags, has made a mark in the luggage industry with at-par quality and vibrant designs. This is the result of the strong urge to understand the changing needs and tastes of the judicious and quality conscious traveller. As a result VIP has held the No.1 rank in Asia for luggage manufacturing. With an ultramodern, high-tech design lab at Nasik, they have several international patents and design registrations to their credit. VIP, also the 2nd largest producer of luggage in the world with four factories, produces nearly five million pieces a year. 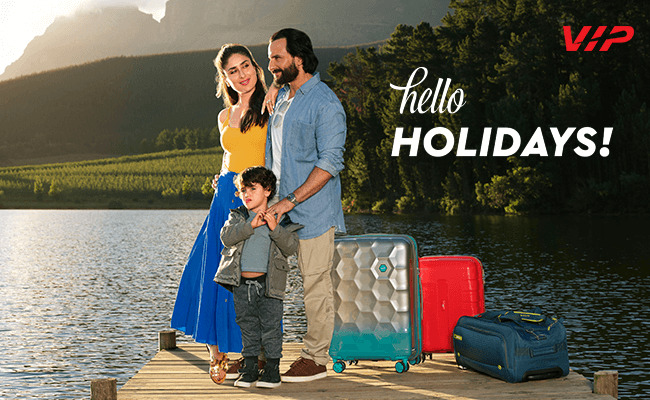 VIP Bags, the leading brand of VIP Industries has also re-launched their largely successful campaign, 'Life Leke Chal', with a desire to reach and satisfy the luggage needs of more customers all over the nation. This campaign was built around 3 different bags with their unique features, from sturdy and durable bags, Teflon coated anti stain and water resistant bags to the lightest bag in the VIP Portfolio. VIP’s lightest range of bags starts from 1.9kgs and is the lightest ever in the portfolio. 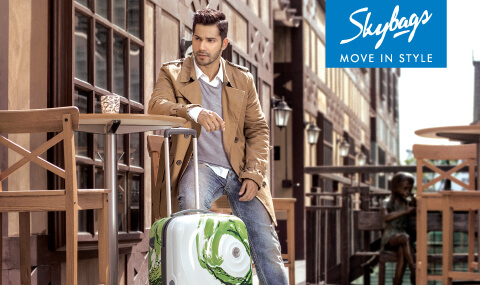 This range was designed for the new age traveller, keeping in mind the modern airline luggage restrictions while setting a new benchmark in the luggage industry. 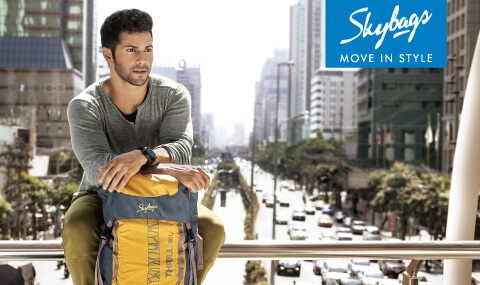 Skybags is aimed at travellers who like to make a style statement everywhere they go. While the bags offer world class functional features, the brand is committed to help you 'Move in Style' through vibrant and unique designs that add an edge to the traveller's personality. Behind the stylish aesthetics lies over four decades of design and engineering innovation resulting in products that are as durable and reliable as they are stylish! Apart from being the first Indian brand to manufacture printed polycarbonate luggage, Skybags also manufactures a wide variety of products like trolleys, rucksacks, backpacks, duffel-bags, laptop bags, everyday travel accessories and short haul essentials made from quality materials. 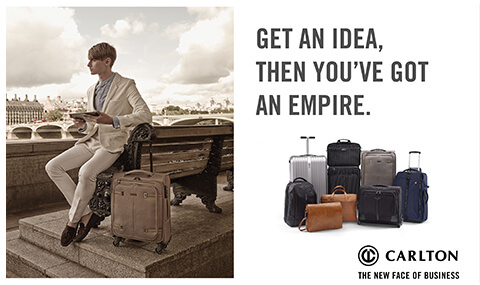 Aristocrat caters to the demands of the frequent traveller of the Indian heartland. Since its inception, this brand has strived hard to provide durable products at a pocket friendly cost. Aristocrat is the brand which understands that superior quality is not a synonym for exorbitant prices. From being the trademark Suitcase and Briefcase of the yester-years to being the up-to-date soft luggage makes, Aristocrat has had a remarkable journey which stretches over decades. 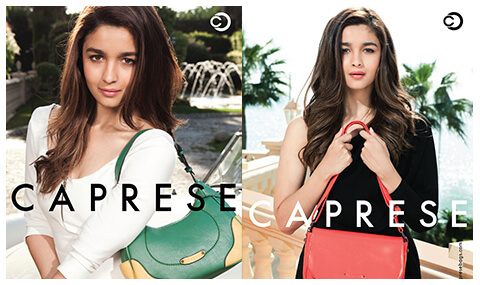 Over the years, this brand has evolved according to the change in demand and times. Its current line-up of soft as well as hard luggage authenticates this fact. 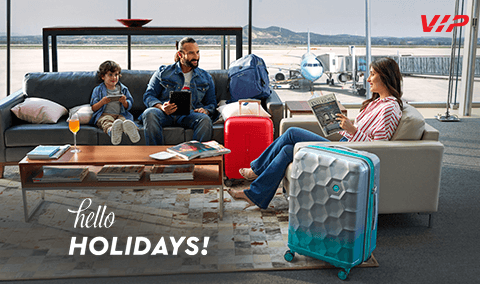 With an array of luggage options such as Soft Uprights, Duffles, Vanity Cases, Hard Suitcases, Briefcases and Uprights for their consumers, Aristocrat can proudly say that they can deliver to every consumer and every travel demand. 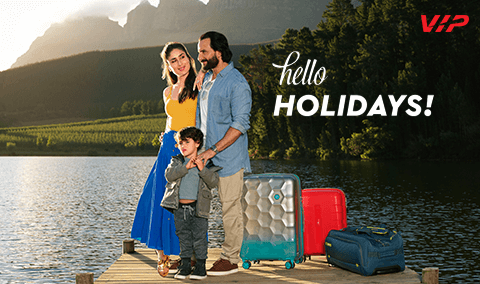 With a vast network of touch-points and its wide array of products in various luggage categories, Aristocrat is all geared up for witnessing remarkable growth in the future! 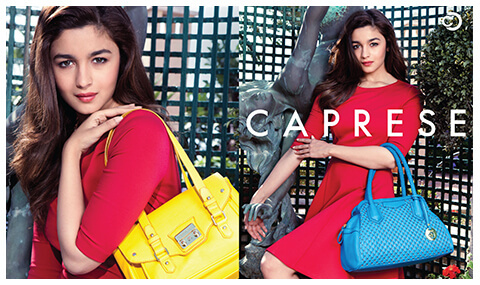 Alfa is popularly known as the value-for-money brand from the house of VIP Industries Ltd. The brand came into existence in the year 1987 and quickly became one of the biggest brands in the luggage industry of India. With hard luggage products in its kitty, Alfa caters to the various demands of the value conscious customers. The cost-effective-quality of Alfa has changed the outlook of consumers who used to opt for cheaper options by compromising quality. Alfa has become the brand option which promises dependable eminence at an affordable price. Alfa is made for the consumers. Apart from hard luggage, which was its ante for the first 20 years, Alfa has grown and adapted itself to match the rising demand of soft luggage in the trade. Today, Alfa has become the go-to brand for all kinds of travel needs. With an wide variety of products like Soft Uprights, Duffle Bags, Duffle Trolleys, Vanity Cases, Hard Suitcases and Briefcases, Alfa has a vast network of over 13,000 retail outlets all over India.